Dr. Mike Ghouse April 14, 2018 Comments Off on Why am I a Muslim? I was born and raised as a Muslim, but around the late sixties, witnessing the hatred and the riots in India among people of different faiths, I chose to become an Atheist and remained one till the late 90’s. I was not a belligerent Atheist who hates God and religions, but a pluralist who respected all beliefs but did not choose one for himself. Exposure to Intra-faith and interfaith began in early teens for me. A Shia scholar by name Hussain Saheb who carried the title of Hujjutul Islam, and my Sunni maternal Grandfather Shaikh Hussain Saheb, and some time my father sat outside in the verandah of our house and discussed the two traditions for three to four hours every day. Then in my pre-university course, a teen then, Fakhru Bhai, a Muslim scholar in his own right and Dr. Ramachandran, my English Teacher, a Sai Baba Bhakt and I discussed Hinduism, Islam, and Atheism on a regular basis. Indeed, I went to the Hindu Temple across my home in Yelahanka on Saturday Nights to chant Bhajans, on Fridays, I went to different Mosques, and on Thursdays, I went to Mahabodhi society, as I was fascinated with Buddha’s teachings. I learned about Sikhism through our customers at our Flour Mill and Christianity and Jainism through my neighbors. I followed Dr. Abraham Kovoor who can be called the father of modern Atheism. When my late wife Najma and I fell in love with each other and got married on July 4, 1996, we had an issue – the Mosque people told my brothers in law that I had to convert to Islam to be married to this Muslim lady. Everyone thought I was Hindu. I did not want to but agreed to go along with the idea that I was born as a Muslim, which I was. Imam Kavakci, whom I respect a lot, Najma and I took a walk in Dr. Syed’s ranch. He agreed to perform the ceremony with my two Hindu friends as part of the witness. It requires three witnesses; he made it to five to include Mr. D.D. Maini and Mr. Kundan Sharma as the witnesses who are my dear friends. Najma’s father gave tremendous respect to me and was always proud to introduce to his friends. He was considered a Sufi Muslim. In late 1997, I was still an Atheist, and one evening, I approached him to inquire if Quran says not to make friends with Jews and Christians, he took me straight to his room, opened the book and showed me the translation in the Urdu language, there it was. I did not say a word, but said to myself, Islam is not for me, nor is the Quran. A God’s book cannot be discriminative. 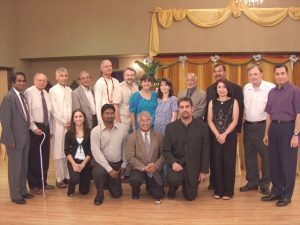 I had a Radio show on Saturdays where we spoke about all religions, and shared the essence of the festivals of faiths and published a Newspaper with a touch of all faiths. It was a favorite paper. In the Mid 90’s David Gold was a prominent talk show host in Dallas, an extreme Islamophobic man. 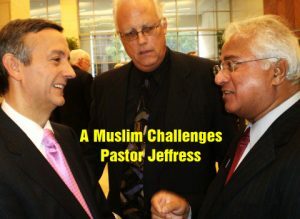 Even though I was an Atheist, I did not swallow his blatant lies about Islam, and would not take my calls on the air. He happened to be my tenant and one day; I went to see him to renew his lease. The bottom line of that conversation was, he could afford to pay a higher rent because he made more money through higher show ratings. People love to hate someone, and he gave them that venting space and if I spoke sense, I would screw up his ratings! I debated within myself about Islam, and then said, no, Islam is not for me. The Quran translations I read did not suit me and what I heard as a child did not go well with me either. That was indeed the truth. However, I was restless. I asked myself, was what was dished out by Muslims the real Islam? How do I find the fact? I was hell-bent on discovering the truth. I said to myself, let me reject everything I have learned about Islam, and reject what Muslims say about Islam and even reject everything written about Islam and study the Quran which was considered the only authentic book. Fortunately, there were three or four translations available, and I could see the difference between each one of them. It was their interpretations, but what did God mean? God meant well, and that was my search for the truth. Mr. Muhammad Suleman, a Muslim leader in Dallas, a man I respect tremendously had asked me to read the book “Muhammad” by Karen Armstrong. Reading that book was one of the best things that have happened to me in my search for the truth about religions. Ms. Armstrong presented Muhammad as an individual striving for the common good of humanity. He repeatedly claimed that he was a human like everyone else. Indeed, I have discovered a formula that Prophet Muhammad applied regularly – that is conflict mitigation and goodwill nurturance. I have written and have spoken quite extensively about the prophet’s formula and how it is beneficial to humanity in creating a world of harmony where no human has to live in apprehensions. 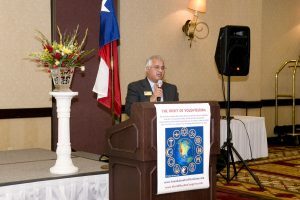 Unlike the typical talk on prophet by Muslim speakers, I chose the topic “Muhammad, the peacemaker.” More at www.WorldMuslimCongress.org. I was searching for a pigeon hole that fulfilled my needs of universality. I wanted a religion that respected all of God’s creation, where everyone was treated with dignity and equality. I wanted a religion that contributed to the well being of the society and nurtured harmony and served justice. I wanted a religion that did not make exclusive claims to salvation. I wanted a religion that did not denigrate the other religions. A sense of guilt would choke me even to think that one religion is superior or inferior to the other. My search template was clear to me. Unitarian Universalist tradition was a perfect fit for me. I have scored 100 out of 100 points every time in the last full decade. 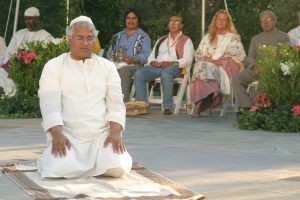 Buddhism appealed to me; it was the philosophy of how to live happily, and then most people thought I was a Bahá’í, as my language was Bahá’í sounding. Then I saw full value in Hinduism, and I scored 92 in a test about Reformed Judaism. Sikhism had its appeal; it is a product of interfaith movement and based on service to fellow humans. I had to sort through this and choose one that suits me the best, not because it is better than others, but because it suits me. I used the phrase “suits me” with a purpose. I was in a Hindu Temple with my daughter Jasmina chanting the devotional songs; she asked me what they were saying, as usual, I said, they are thanking the lord and appreciating for what God has given us. She jumped up and exclaimed, “Gee Dad, its cool! God can be worshipped in so many ways.” It was a joy to receive a note from my son Jeff, he inscribed “Respecting the otherness of others.” That made my day. Religion is a means to create cohesive societies and not an end in itself. Religion is a business to some, but to a majority, it is a system that offers them peace and tranquility. By the way, there never was an Islamic government; there is no such thing as Islamic government. The very state run by Prophet was pluralistic and civic in nature and not religious. He did not run the state as Muslim, but a statesman, each group followed their own religious laws, be it Judaism, Christianity, Zoroastrian or Pagan. he called all residents of his state as Ummah, the community. Read the Madinah Declaration. Muhammad is perhaps the first man on the earth who initiated interfaith dialogue. Zoroaster, Moses, Jesus, and Krishna did not have that opportunity, whereas Muhammad worked with Jews, Christians, Zoroastrians, Pagans, and Sabeans. I see Muhammad ss a philosopher and a pschologist who understood people and designed systems to inculcate the values of “accepting the otherness of others,” and respecting other’s God-given uniqueness. He believed Justice, mercy, Amin, and humility were the cornerstones of a religion. One God, no God or Many Gods. It does not matter to me if you believe in one God, two Gods, many Gods or no God. You live your life, and I live mine. The following note is about understanding the idea of one God. The sense of oneness was the first step towards building a cohesive society and subscribing to the notion of one ultimate ‘common God’ was the need of the day. Hinduism calls it Vasudhaiva Kutumbukum – the whole world is one. Whereas Judaism, Christianity, Islam, Sikhism, Bahá’í and other traditions subscribe to the idea that one source created us, in Abrahamic faiths language, we are all children of Adam & Eve. Hold it, my friends, you will not go to the same church, synagogue, mosque or a temple, if you don’t like the environment or the sermons, you go where you are comfortable, and you choose what suits you. Islam suits me well; I fit right in for me. Not the Islam you hear on Fox, but the pristine Islam that was created by Muhammad and not visible to you, which the majority of Muslims silently practice. List of my mentors; Jesus Christ, Prophet Muhammad, Buddha, Krishna, Mahatma Gandhi, Maimonides, Martin Luther King Jr., Mother Teresa, my father Abdul Rahman and mother Khairun Nisa. Among the living, my mentors are; Pope Frances, Barack Obama, and Aga Khan. (Dali Lama is dropped my list as he did not say a word about his fellow Buddhists massacring their fellow countrymen in Burma – I need to study more to add him back). God has blessed me to stand up for the rights of every human from Atheists to Zoroastrians and every one in between including LGBTQ and Native communities. I have been to the worship places of almost all the major religions. 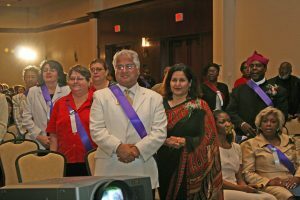 Years ago, I made a statement upon receiving the “Religious communicator of the year” award by Religious Communicators Council. I said, “My religion works for me as other’s beliefs work for others and I will never claim my faith to be superior or inferior to any. Claiming superiority of your religion is arrogance which destroys relationships between individuals, families, communities, and nations. Humility, on the other hand, builds relationships. Religion is about building relationships. I define religion as a system that guides one to live in balance within and how to live in harmony with others. Dr. Shaykh Rashid Ghannouchi emphasized, “The role of religion is to answer the big questions for us, those relating to our existence, origins, destiny, and the purpose for which we are created. It is to provide us with a system of values and principles that would guide our thinking, behavior, and the regulations to which we aspire.” He added, “Islam is a religion of civilization” which he suggests elsewhere is the essence and purpose of every world religion. Indeed it is. I chose to become a Muslim in the late 90’s. Islam suited me well. 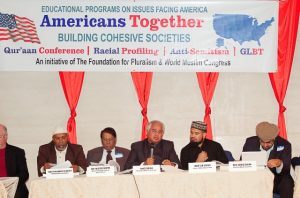 Islam teaches about building cohesive societies, respecting the otherness of others, freedom of speech and faith, justice, mercy, humility and treating, feeling and believing all individuals as equals and with prejudice towards none. I could have chosen any faith, and all religions were equally dear to me. None is superior or inferior. Religion is not a business to be sold and has to be better than others. It is a system to live your life in peace from within and with others. There is no need to compare a religion, but you can always see if it make one a better human. No religion is superior or inferior; if one thinks that his belief is wise, scientific, oldest, and has all the answers, he/she has not understood his/her religion. The moment an element of superiority is introduced in the equation, it goes against creating cohesive societies. Arrogance kills the relationships whereas humility builds relationships. Muslim should know this; Islam is about creating peace and harmony and not claiming superiority. Some of you can easily see the language in this essay reflects the ideals of many verses from Quran. You have to find the truth on your own to have the confidence in whatever you believe. Muslims are welcome to challenge me with logic and reason. Islam suits me as I align with it. Islam is about free will, justice, humility and dignity to all of God’s creation – life and environment. I am a Muslim for me. I am a Muslim for me, and I don’t have to prove that to anyone, nor do I have to show it off. After all, no Imam, no religious leader, and not even Prophet will stand up for you on the day of accountability for your actions. You have to take the responsibility to do the right thing. All that God wants is simply this – he created the universe in harmony and balance ( Quran, Sura Rahman 55:5-11) and expects us humans (Quran is for humanity and not exclusively for Muslims) to restore it whenever it is off. He calls humans the “Ashraful Makhlooqat” i.e, the honored species. Humans are the only species among all species that have managed their existence and withstood the furies of nature. He also calls the humans (mind you, it is not Muslims) Khalifa (vice-regent) of the planet earth to live in harmony and peace. If you are the business owner or head of the family, you would appreciate your employees or children who preserve and protect your property. God wants nothing more than that. That is indeed the creator’s will. To reiterate, Prophet Muhammad’s actions were tempered by the ideal of “Conflict Mitigation and Goodwill Nurturance.” I call is Muhammad’s formula for creating cohesive societies. That indeed is the role of Muslims. Islam is not a private club owned by a few men who decide the rules of the club membership. I don’t belong to any Private Islam clubs like Sunni, Shia, Ahmadiyya, Sufi, Wahhabi and tens of subgroups within each. I belong to the Public Islam, where you subscribe to the idea of accountability of your actions, be answerable to one. Where Justice and mercy for all is the ideal. Islam should not be reduced to rituals. I do not want to be identified as a Muslim by the beard or a skull cap but rather by being a good Muslim who cares for others, stands up for the rights of others and makes sure justice prevails in the society with prejudice towards none. That is what the prophet did. Islam’s foundation was based on being an Amin, someone who is trustworthy, just, kind, fair and caring. Islam was not founded on beard as many a Muslims believe that If they keep the beard, they are following the prophet. Wearing a beard is like putting a roof on the house that has no foundation. Beard is not a requirement for being a Muslim but a choice. If you are a genuine follower of the Prophet, you should have friends among people of all faiths and no faith. Prophet was not prejudiced, he believed in equality of all humans, and God beefed it up by saying that he has created us into many tribes, nations, and faiths. Jesus (Muslims believe him to be a prophet) embraced the socially rejected, the prostitutes and Lepers, as his followers do you embrace the LGBTQ community or, are you prejudiced? Please remember God is not a petty person, God is much bigger than the dished out versions of the scriptures given to us over centuries. Let’s not make God a villain of his own creation. The Center for Pluralism will be an antidote to Anti-Semitism, Islamophobia, Racism, Homophobia, Hindu phobia, Xenophobia, Misogyny and other phobias. Through research and activism, we are establishing a respectful space for every human, working with the policymakers, interfaith groups, both Republicans and Democrats and of course the media and you! The Center for Pluralism will become the energy to give a stable, cohesive social structure to our nation. By the year 2025, there will not be an office, school, playground, college, restaurant, theater, train, bus or a workplace where people of different faiths, races, ethnicities, and national origins do not work, interact, play, live and marry together. This situation is bound to create conflicts in airports, public spaces, boardrooms, and in bedrooms as well as places of worship, workplaces, politics, eateries, and schools. Mike Mohamed Ghouse is committed to his life mission of building cohesive workplaces, communities, and nations. He works for an America where every one of the 322 million Americans should feel secure without apprehension or fear of the other. He is one of the five people in the world who is actively pursuing research, activism and teaching Pluralism. Just Google and find a tremendous amount of work on pluralism in religion, politics, society, and culture. Mike defines Pluralism as an attitude of “respecting the otherness of other” and accepting the God-given uniqueness of each one of us. 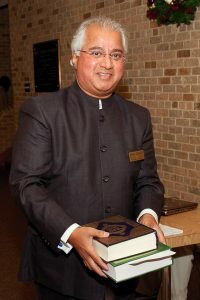 He is a pluralist, thinker, writer, activist and a speaker on Pluralism, Interfaith, politics, Islam, human rights and foreign policy including India and Israel-Palestine. He is a newsmaker, interfaith wedding officiant, and a community consultant and offers pluralistic solutions on issues of the day. Dr. Ghouse has appeared in over 300 national TV and 700 Radio shows including 125 on Fox News and 200 on Fox’s national syndicated radio. He has published over 3500 articles on the topics he speaks. Plug in the name of Religion, any religion / or name of festival any festival in Google, there is a substantial amount of work done in every area of humanity. Conflict mitigation and goodwill nurturance run in Mike’s veins, it is the formula of Prophet Muhammad (PBUH).